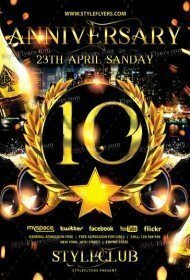 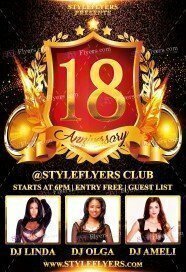 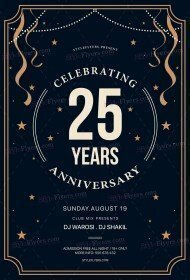 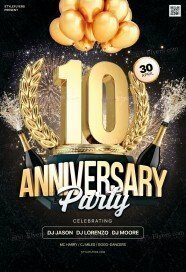 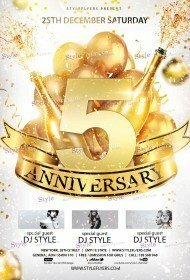 Each of us can face with a problem of choosing the perfect flyer when it concerns the anniversary party. 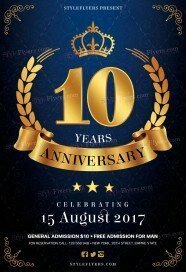 We know how much time can it take, so we collect all our premium anniversary flyers templates to one listing – anniversary flyers category. 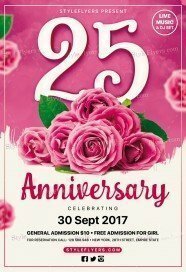 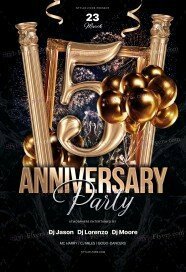 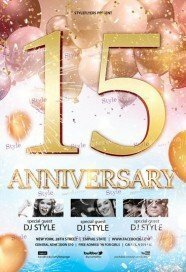 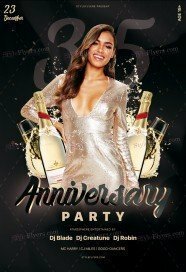 Here you can find a plethora of unique anniversary flyers, which can suit your luxury event. 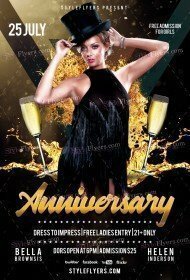 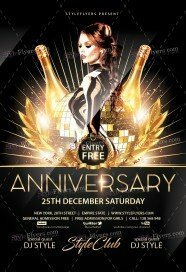 Buy Anniversary flyer PSD templates here, all of these samples are available for sale. 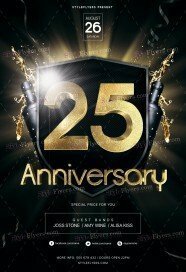 We try to do all possible to satisfy all needs and tastes. 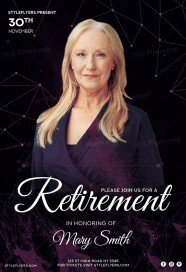 Forever if you want to change some colors, objects or text you are free to make any modifications and changes you like. 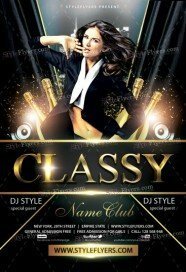 Our easy customization can allow you to make any changes at the short term. 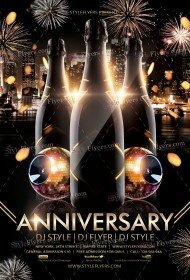 All our anniversary party templates have a classical luxury design and high quality. We think that combination of gold and black colors is the most appropriate variant for such occasion. But, as we mentioned below you are free to make any customization. 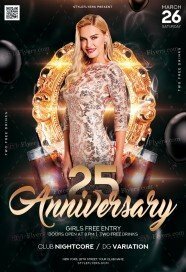 All our premium flyers have a well-organized structure, which will allow you to add your own text, which will clarify all about your anniversary party. Make your anniversary the most outstanding and luxury event with our premium printable templates. 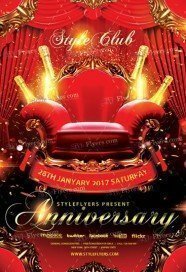 Styleflyers company will provide you with high-qualitative assistance, unique photoshop files and Facebook cover. 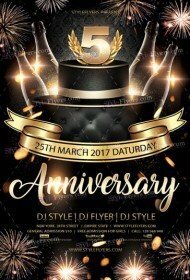 Make a right choice buy Anniversary flyers templates online.